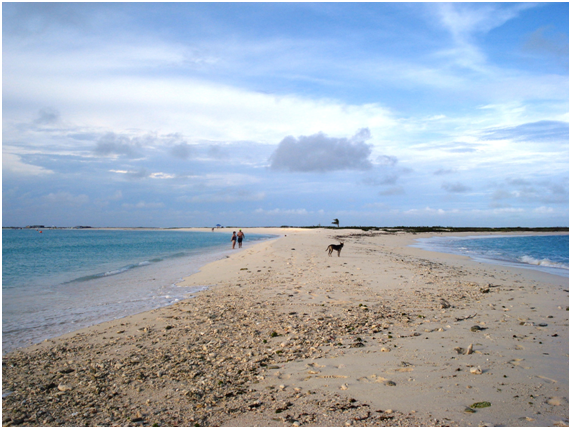 Does not have the fame of other Venezuelan beach destinations positioned nationally and internationally as Los Roques o Margarita, but those who venture to know the island of La Tortuga (The Turtle) will enjoy the serenity of a place barely disturbed by human beings and will be amazed by the beauty of its innumerable virgin beaches of indescribable blues and white coral sands. 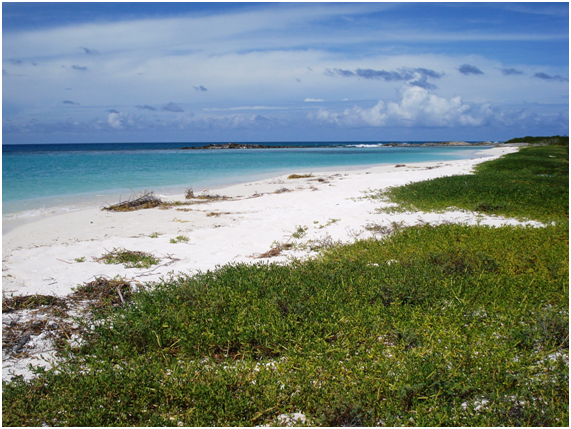 With little more than 156 square kilometers, it is the second largest island of Venezuela after Nueva Esparta. Deserted and without buildings La Tortuga is inhabited only on weekends by tourism service providers and in certain seasons by fishermen. 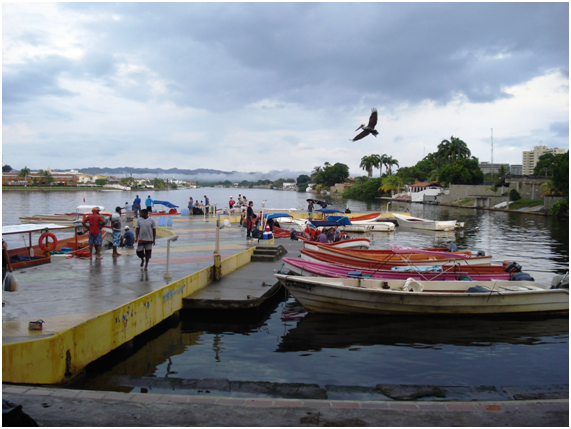 To get to its edge you have to go to the Marina La Pérgola, located in the town of Higuerote, Miranda state, about 170 km from Caracas. Some of the agencies that offer the trip to La Tortuga also include the transfer from the capital. Once there, an exit tax must be canceled and according to the contracted package, you can embark on covered fishing boats, speedboats or yachts. Those who take the first two options, should put their backpacks in plastic bags, because during the trip everything usually gets wet, it is also good to go in fast drying clothes for the same reason. According to regulations, all boats must leave before eight in the morning. It must be said that the outward journey is not smooth, it is 85 km against the current and sometimes the waves are strong, and usually the journey lasts about four hours. 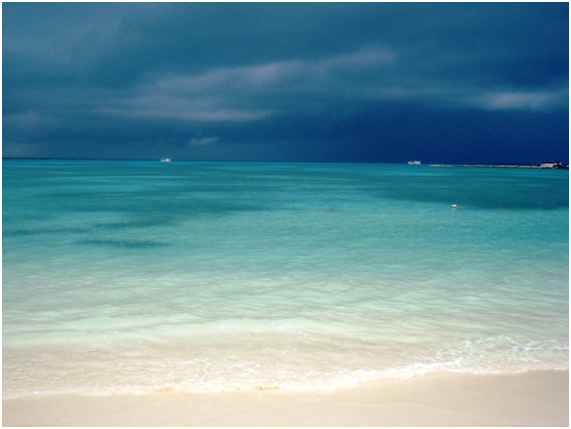 However, when finally discovering the coast of brilliant white sands and the incredible blue hues of the waters, the long journey is immediately forgotten. Most visitors choose the stay from Friday to Sunday, although there is also possible to stay from Saturday to Sunday, but this second option does not give much time to travel to other places offered by the island. 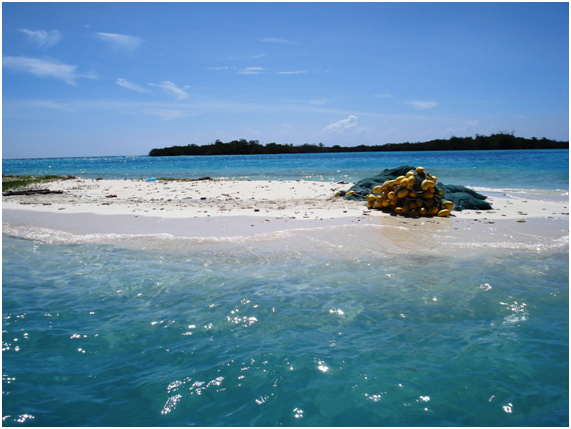 La Tortuga is part of the Federal Dependencies of Venezuela and is administered by the National Navy of the country. 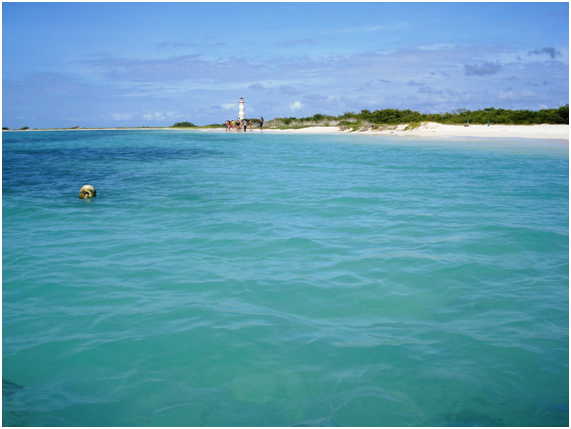 It is made up of several islands: Cayo Herradura, Los Tortuguillos Islands (East and West) and also has other formations such as the Bajo de los Palanquines, Ño Martín Keys, El Vapor Islet and Punta de Ranchos Keys. The name of the island is due to the number of sea turtles that come annually to spawn in its extensive beaches, among them: Caretta, Verde and the Carey, these species come under programs of preservation. This island territory is also visited by migratory birds. As for its past, it has a rather peculiar history. According to some records, in 1624 the Dutch exploited the salt flats of the east of the island, but a few years later, in 1638 they were driven out by the governor of Cumaná, Benito Arias Montano, who with his troops and indigenous allies destroyed their installations and made them leave the territory. 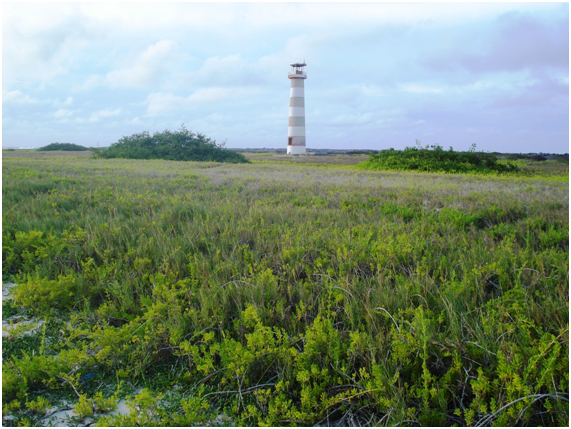 More than two centuries later, in 1871, La Tortuga was part of the so-called Colón archipelago, and already in the 20th century, in 1938, it was integrated into the Federal Dependencies. Its remote location and the fact of not having natural sources of fresh water are the reasons why it does not have a permanent population, perhaps an advantage because it remains one of the last almost intact places of Venezuela. It is also little known by foreigners, accordingly the tour operators. When arriving at Cayo Herradura, where most of the boats usually dock, the visitors are settled in their camps, there are about seven in this part of the island, which consist of a series of tents with mattresses and also tents with chairs and the dining area where the three daily meals are served, mostly based on fresh fish. 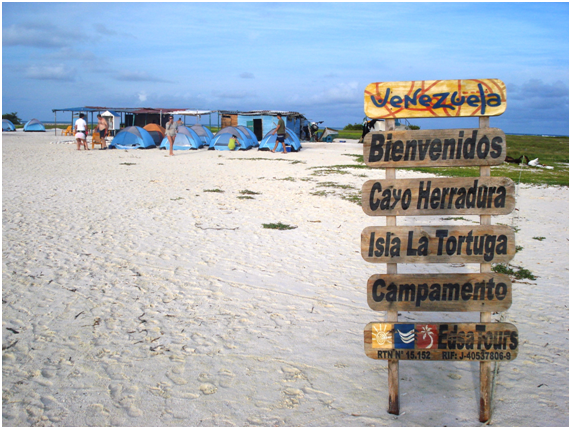 About 15 tour operators are authorized to make trips to La Tortuga, according to the regulations of the Venezuelan authorities, to transfer a maximum of 30 passengers each. The limit for the stay is up to 300 visitors. From Monday to Thursday the island is not suitable for the enjoyment of tourists. 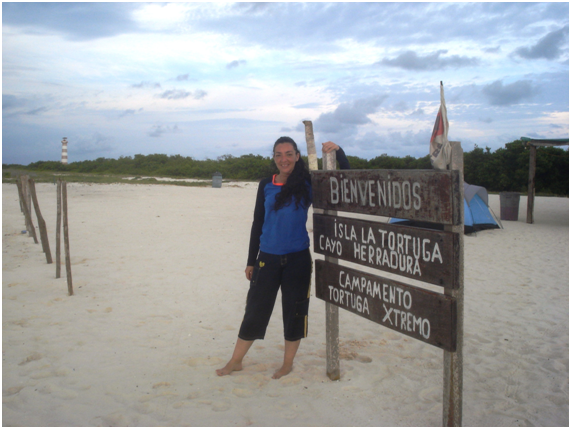 La Tortuga has largely undisturbed by human presence, so it does not have traditional baths, some tour operators offer portable baths. Likewise, the island does not have fresh water, the vital liquid is brought by the boat, and the visitor has free access and receives a maximum of five liters daily for personal grooming. In Cayo Herradura there is almost a mile of beach to walk, besides swimming in its warm and clear waters, you can also go to the lighthouse, go through the small altar of the Virgin of the Valley or reach what is known as The “encounter of two waters”, one end of the island where you can see how the calm waters collide with the rough. 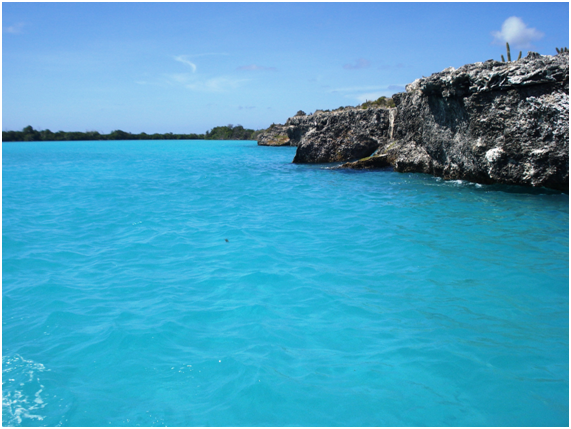 Nearby there is an area where you can snorkel and view beautiful goldfish and also some coral formations. If you have chosen the plan for three days and two nights, the second day is the climb back to the fisherman’s boat to get to know other aspects of this beautiful island territory and the Bay of Carenero, is one of them. 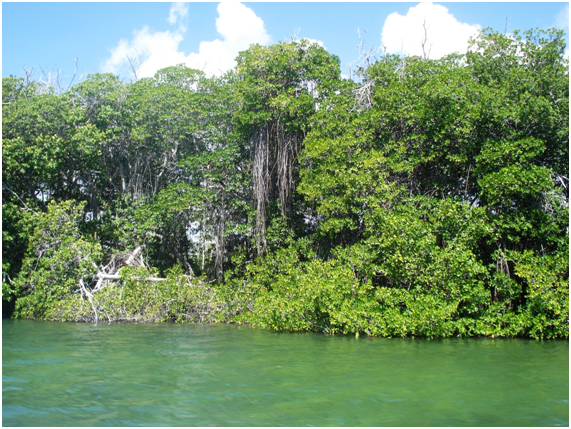 During the trip to this place where there is a community of fishermen, you can observe a long strip of mangroves, greenery that contrasts with the intense blue of the sea. 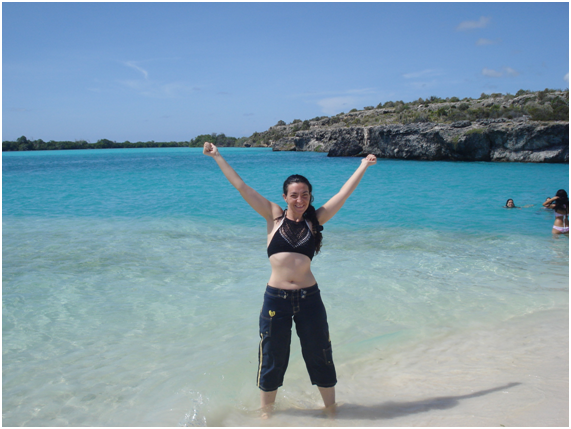 In Bahía de Carenero you can swim at your pleasure and even launch yourself from some rock formations that surround the beach. From there you can also see some goats, animals that were brought to the island by the old Dutch settlers and that managed to reproduce through the years and remain there. In the eastern part of the island is Punta Delgada, another beautiful beach where the Ministry of People’s Power for Tourism carries out ecological development. The project will provide visitors with cabins, bath modules, awnings, laundry, management modules, restaurant, nursing, information points, a hydroelectric generation system, desalination and treatment plants, a tourist pier and a waste processing center. The preparation of the landing strip is also included, once this work is completed, full day packages will be offered. Before starting work for this ecotourism development, the island was closed to the public for a season to start a process of cleaning and demolishing improvised structures there established, all with the aim of preserving this natural beauty so that visitors can continue to enjoy it with awareness. If you are prone to dizziness while traveling by sea, it is a good idea to take prescribed pills. Tour guides suggest eating something before boarding, they point out that going on an empty stomach causes greater dizziness. In addition to clothing and sunscreen, among personal items that are essential is repellent because in the early hours of the morning there are a lot of mosquitoes. Try to deposit the garbage in the containers at the camps; each tour operator is responsible for taking it back in his or her boat. I upvoted your contribution because to my mind your post is at least 2 SBD worth and should receive 202 votes. It's now up to the lovely Steemit community to make this come true. ¡Wow, thank you very much!